Two isles of the Cyclades have long been famous for their marble—but equal treasures were recently found on tiny, neighboring Despotikó. When a shepherd—the only resident on the three-square-mile island of Despotikó—spotted a Byzantine coin lying in his goat pen in 2010, it was like finding an “X” on a treasure map, but the coin was only the beginning of the riches waiting to be unearthed. Considered to be the birthplace of twin gods Apollo and Artemis, ancient Greece’s majestic port of Delos stands protected by the Cyclades, or circular islands. As the halfway point in the Aegean Sea between trading centers in Athens and Crete, this “sacred” Greek island of Delos became a frequent stop for sailors and pilgrims seeking to pay their respects at Apollo’s temple. 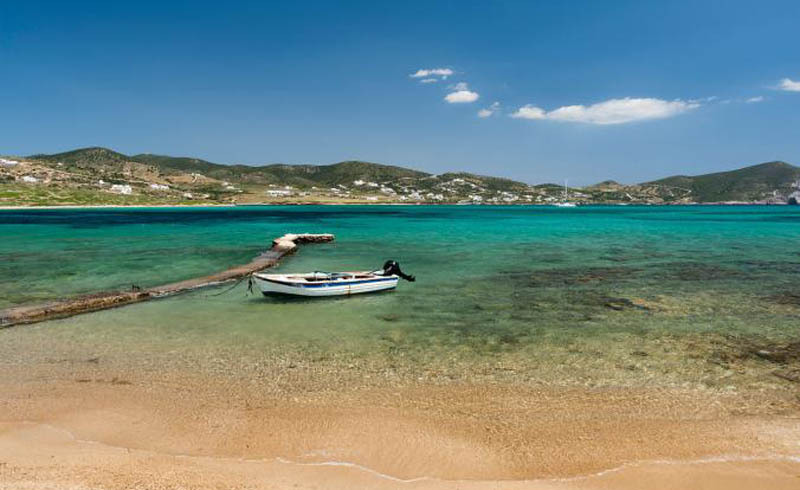 A small fishing boat on the beach of Despotikó, an uninhabited island in the southwest of Antiparos, a place of great archaeological importance. Just south of Delos is the island of Paros. Its semi-translucent, snow-white marble earned its distinction as “the most prosperous and greatest of the Cyclades” by Greek historian Epiphoros. Archaeologists estimate that 80 percent of Greek antiquities—including the Winged Victory of Samothrace and Venus de Milo—were sculpted from marble slabs sourced on Paros. A prized resource, the marble was mined both for Delos’ famous statues and as a trading product. 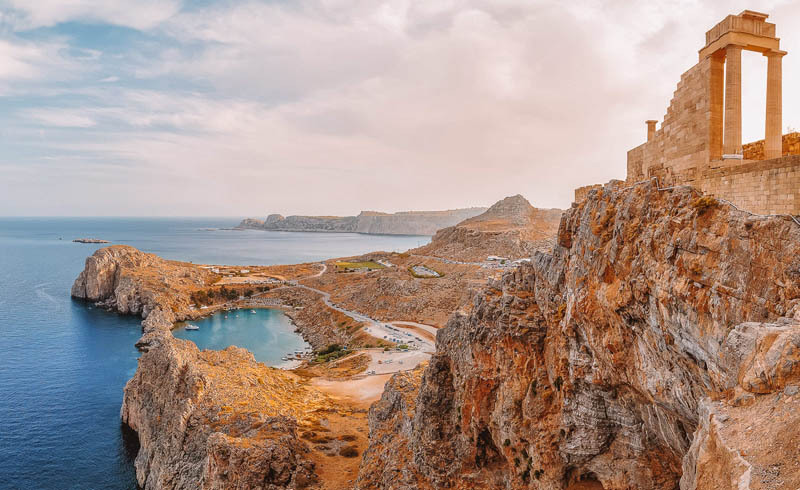 On the neighboring, nearly uninhabited island of Despotikó, archaeologists have recently uncovered another one of ancient Greece’s most sublime sanctuaries. 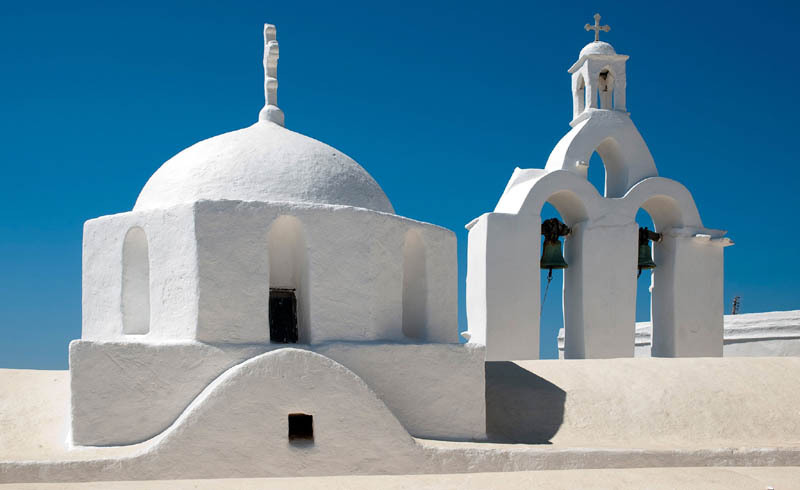 Upon sailors’ safe return from the sea, citizens of Paros would build small chapels out of the island’s marble and offer gifts of honey, wine and small calves to the gods. “These sanctuaries were important for sailors and captains, since their temples served as lighthouses along the commerce route,” explained Paros-based guide Christina Fokianou. “Despotikó was probably the second-most important sanctuary in the Cyclades after Delos in terms of power and strength,” she said. Despotikó was indeed an important sanctuary—for its power, its strength and, perhaps, its archaeological treasure. After Despotikó’s single inhabitant noticed the Byzantine coin in his goat pen in 2010, archaeologists uncovered more than 6,000 architectural pieces in the walls of the pen alone. Little did the shepherd know that the walls of his goat pen were constructed from archaic building remnants. Archaeologist and Despotikó’s director of excavation, Dr. Yannos Kourayos, unearthed 85 pieces of statues and more than 200 pieces of pottery inscribed with the name “Apollo.” Discovering the sanctuary’s pièce-de-résistance, however, required a deeper dig. Archaeologists uncovered seven 12.5-foot-tall Parian marble-covered columns, forming one of Apollo’s 22 temples across the Cyclades. Sculptural remnants stand in the House of Cleopatra and Dioskuridis, a UNESCO World Heritage site on Delos, one of the foremost of the Cyclades Islands in antiquity. Kourayos and his team are currently in the painstaking process of reconstructing the sanctuary, towing in Naxian marble slabs on ferries, since the mining of Parian marble is now prohibited. “These 400-foot-deep marble quarries are archaeological sites and considered monuments,” Kourayos says. “They’re pieces of art.” For the Greeks, the quarries are just as much of a national treasure as the Parian marble-constructed Acropolis itself. And as for the shepherd on Despotikó, he’s fortunate he spotted the Byzantine coin. 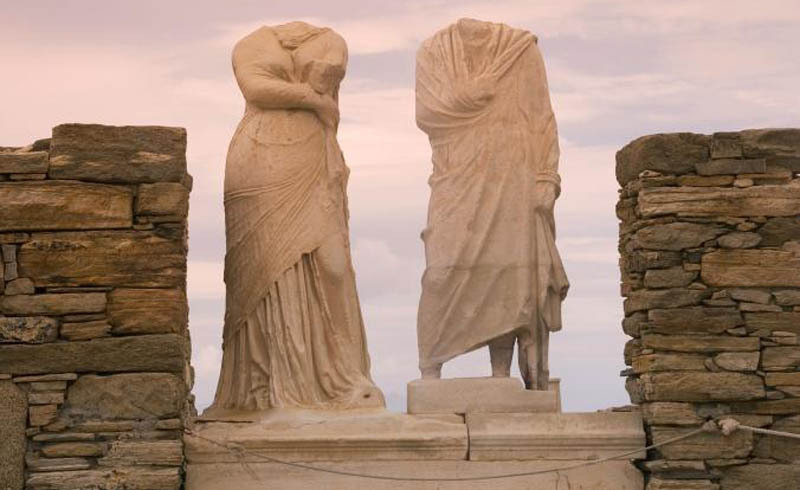 Paros and Delos were two of the foremost islands of the Cyclades, renowned for their marble sculpture and sacred connection to Apollo—but equal treasures were recently found on neighboring Despotikó.